A 59-year-old man is dead following a series of collisions off Blackmarsh Road. 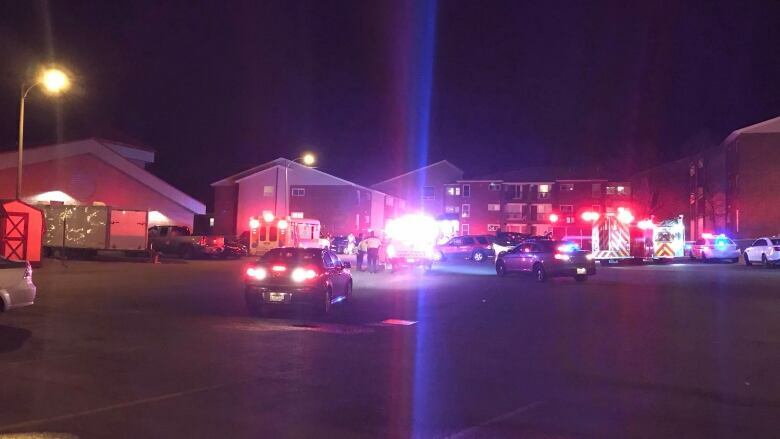 A multi-vehicle collision in a St. John's parking lot Friday night has proven fatal. Police and paramedics were called just after 6 p.m. to the city's west end, where reports from the scene indicated a pickup truck appeared to have backed into several vehicles near the Rockcliffe Heights apartment complex on Blackmarsh Road. The Royal Newfoundland Constabulary confirmed Saturday that a 59-year-old man is "deceased as a result of the accident." Police had said two people had been taken to the Health Sciences Centre. The RNC investigation is continuing.